Thinking of doing a ski or snowboard course in Canada next winter? Now is the time to secure your place on one of our ski or snowboard courses. As of 1st January 2019, our prices will have to go up. But we have frozen our prices so you have until the end of December to grab yourself a bargain! Lock in this winter’s prices for next year’s courses. 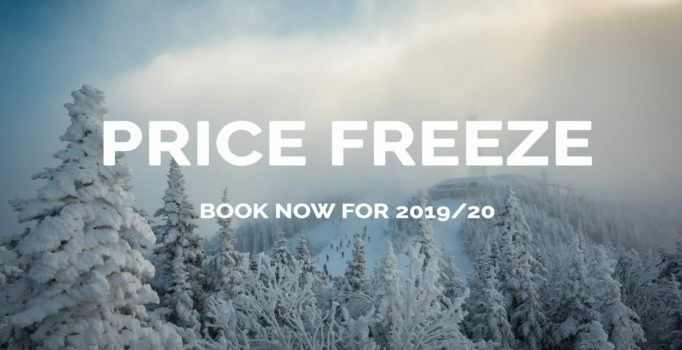 Book now to secure the lowest price and guarantee a place with Ski le Gap, the ultimate way to spend part of your gap year! Dates are flexible; please get in touch to see if your preferred dates are possible. An additional, non-refundable £250 registration fee is due upon registration to fully secure your place. Prices are in British Pounds (£GBP). If you would prefer to pay in another currency, please contact us. We have a limited number of places. For the 2019/20 winter, we will operate with a maximum of 35 students to ensure the best experience both on and off the slopes. Places are allocated on a first come, first serve basis – so don’t wait too long! Book now to take advantage of our best price and guarantee one of our limited places. Most importantly, secure your place so you can start getting excited about the ultimate winter you’ll have with Ski le Gap! Any questions, or if you’d like us to send over a copy of our registration form so you can sign up, please drop us an email or give us a call – we’re here to help!